Spiritual leader Sri Sri Ravi Shankar on Thursday said tradition and sentiments of the devotees should be respected on the issue of entry of women of all age groups in Sabarimala and gender equality need not be applied on matters relating to the Lord Ayyappa temple. Kerala has witnessed widespread protests by Ayyappa devotees after the state government said it was bound to implement the Supreme Court’s verdict that lifted the centuries-old ban on the entry of women in the 10-50 age group to the temple, whose deity Lord Ayyappa is considered to be celibate. Any change on matters relating to religion and faith should be done after consultations with spiritual leaders, Sri Sri said. There are several temples dedicated to Lord Ayyappa in the country and women are not barred anywhere else except in the hill shrine in Kerala. “Then, it is a tradition…and people’s sentiments are also there…we have to respect it…” Sri Sri Ravi Shankar told PTI in an interview here. “It is not a matter of gender inequality here in this temple issue. In fact Indian culture always holds women in great reverence…True equality is when women are assured of safety, have equal opportunities in career and every girl child has access to quality education,” he said. “However, this temple issue creates such an emotional hurt and shock to people… the devotees…, which could have been avoided..” he said. The spiritual guru, however, said he was “glad” that the Supreme Court had agreed to hear the review petitions against its September 28 verdict. The comments by Sri Sri come two days ahead of the two-month-long Mandala Makaravillakku pilgrimage season in Sabarimala that commences on November 17 and attracts millions of devotees from all over the country. The Art of Living founder, who embarked on a four-day tour to the UAE on an invitation from the ruler of Fujairah, was speaking on the sidelines of his visit here. Stating that all facts relating to the Sabarimala shrine may not have been presented fully at the apex court, he said even people belonging to other religions, who visit the hill temple, have always followed the rules there as they are part of age-old customs. The main issue in Sabarimala is the mandatory 41-day ‘Vratam’ (wherein devotees have only vegetarian food and follow strict celibacy). Those who go to the temple, even in the past, follow the ‘Vratam’ and go, he said. “Women, of course in the menstrual cycle, cannot undertake the 41-day Vratam. And that is the reason they are not going there,” he said. To buttress his point, he said shoes are allowed inside churches all over the world but people remove it in the temples and mosques in India while entering there to offer prayers. “So, these all are some cultural, traditional practices. If you ask why don’t you do prayers with shoes or chappal in temples while you can do the same in churches…the answer is that it does not fit,” he said. Though the logic is the same, it cannot be applied in all contexts. Because, that is not our tradition, the spiritual leader added. Sri Sri also said he was sure that the apex court would come out with a suitable decision to resolve the present issues while hearing the review petitions. When asked about his formula to resolve the vexed Ayodhya dispute through mediation, he said his effort was to create a ‘win-win’ situation for both sides. “In a situation, when they (Hindus and Muslims) come together in a sense of brotherhood of give and take….one gives a piece of land for the temple and the other gives place to build a mosque in a different place…the problem is solved,” he said. Sri Sri, who has been trying to resolve the Ayodhya dispute through mediation for some time, said he has spoken to hundreds of imams and other spiritual leaders of the Muslim community and none of them had objected to the construction of a Ram temple. Stressing the need to grow spiritually, he said it helps improving communication, to forget the past, take a new vision and move forward in life with renewed enthusiasm. 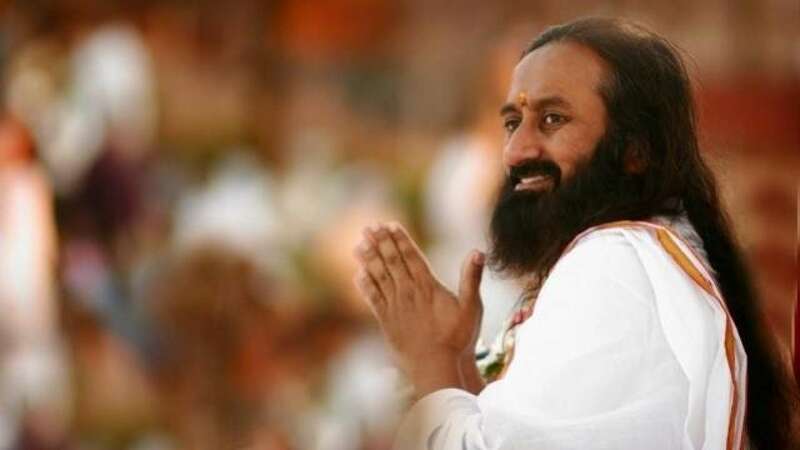 The Emirate of Fujairah has invited Sri Sri for yoga celebrations as part of which there would be meditation for world peace called ‘Illuminate Peace’ that will be held at a football stadium here. After Fujairah, the spiritual leader will lead meditation sessions in Dubai also, apart from visiting a labour camp and conducting a special session for labourers at Sharjah, before returning to India.